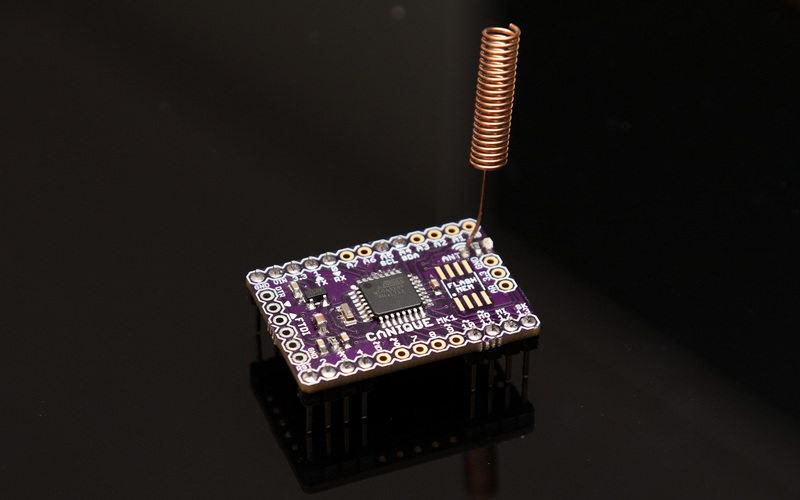 Moteinos are Arduino compatible microcontroller boards with optional RFM69 radio module. 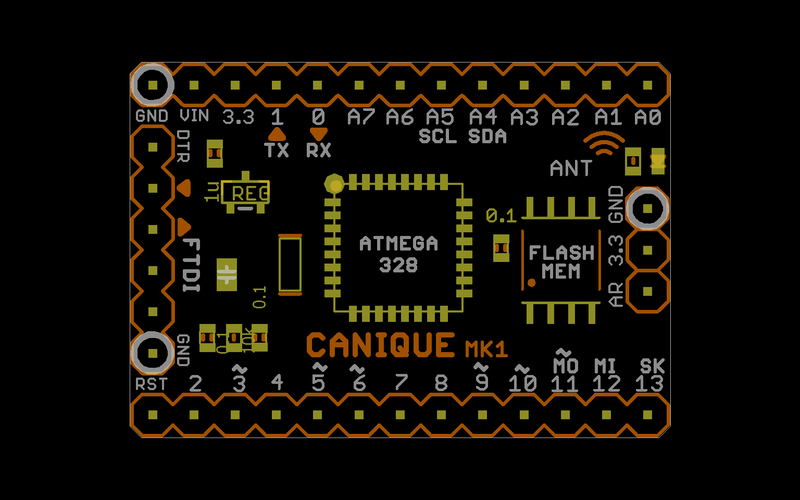 Since September 1st, 2017 we're offering the Moteino compatible board Canique MK1 in various configurations: With or without RFM69HW/RFM69W, with or without additional flash memory and with or without voltage regulator. The Canique MK1 can be powered by a voltage of up to 13V (via the voltage regulator, input "VIN") or with 3.3V via the input "3.3". Please bear in mind that the voltage regulator always draws current - even if you use the input "3.3". Hence you should order the MK1 without voltage regulator if you plan to run it with <= 3.3V. 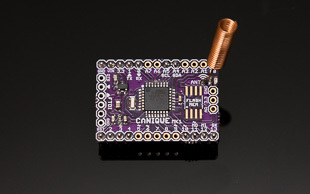 The FTDI port on the Canique MK1 must not be driven higher than 3.3V since it is not connected to the voltage regulator (voltages higher than 3.3V would damage the radio module). The reason for this decision is to be able to power the board completely without any soldered voltage regulator. The RFM69 radio module has additional capacitors on the Canique MK1 to provide a more stable power supply in accordance with the design guidelines in the RFM69 datasheet. This is an important advantage versus the Moteino. To reduce unnecessary traces on the board and to opimize radio performance the Canique MK1 only supports RFM69HW/RFM69W but does not support the old versions RFM69HCW/RFM69CW. The MK1 is not available anymore - it has been replaced by the MK2.